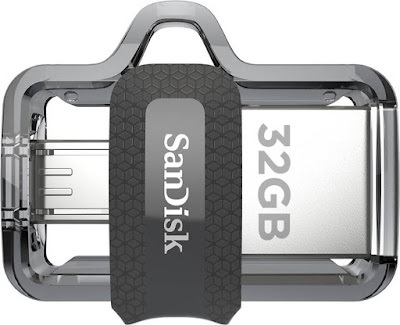 Flipkart Offer - Buy SanDisk Ultra Dual Drive 32 GB OTG Drive Only at Rs 599. This offer is avail only for 1 day. Flipkart's Pay later is like having this pendrive like; to use before buy. So, you can return this in case of; You just don't like it...! With this pendrive you can also connect to your phone using Micro Pin. So you can transfer any files without just having any OTG connector or PC. Its OTG Pendrive, Forget Cables and PCs. This is MUST HAVE product if you still thinking to buy or not. This offer does not come often. Please Download Flipkart App, If you really need more Discounts from any Product.